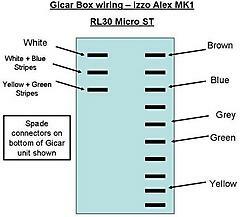 In the Alex Mk 1 and it might be the same as the mark 2, the Izzo wiring for the Gicar box is shown below. 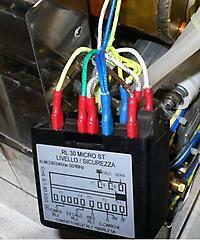 There is also a photo of the side of the Gicar controller that shows what components of the machine the wires control. 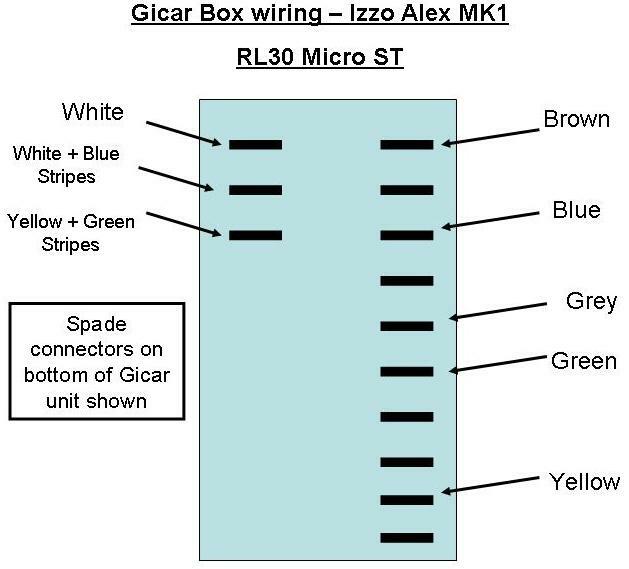 The MK2 Vivis definitely have a different colour schema for this wiring and you cannot use this as a guide, I am not sure whether this is valid for the MK1 Vivi (although I would love a Vivi owner to check and confirm if this is also correct for the MK1 Vivi).